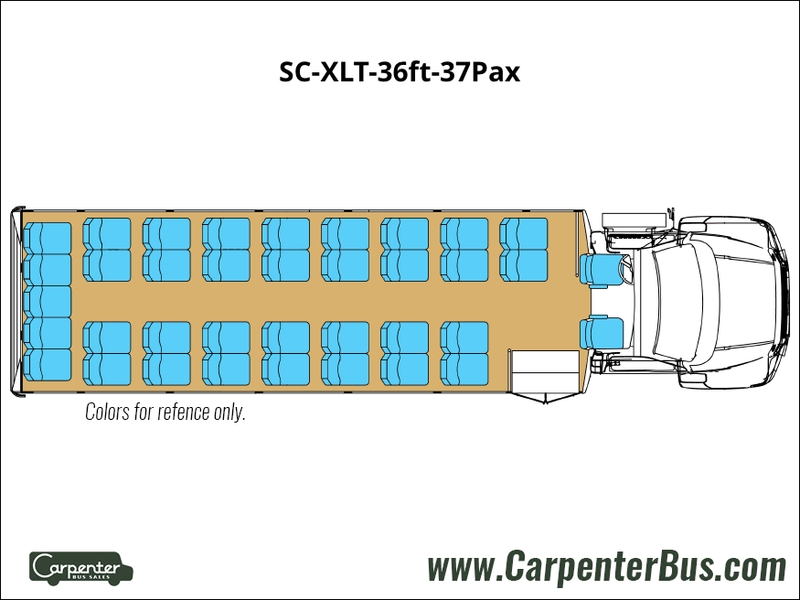 If you have a large number of people to transport, the Starcraft XLT is the perfect option. 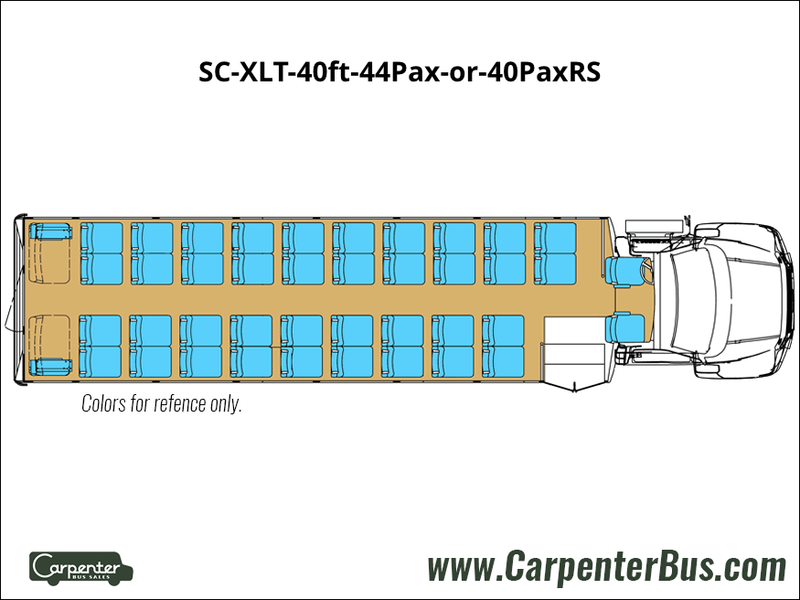 With a comfortable price point, the Starcraft XLT is within reach and is a great solution when you need to carry up to 44 passengers. 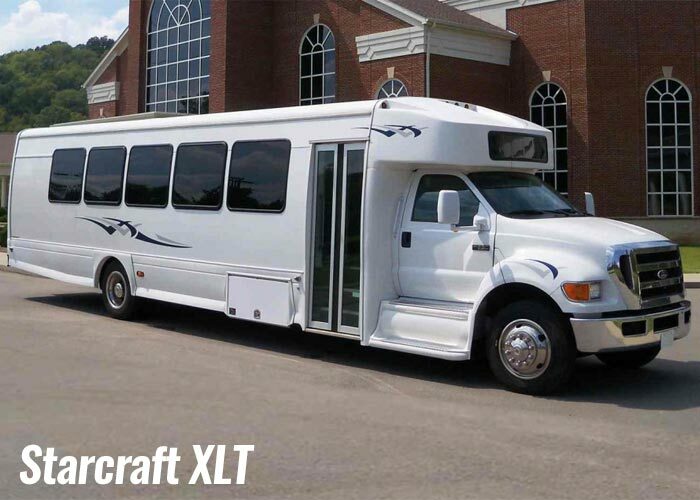 The XLT is most often purchased by tour and charter companies, senior care facilities, university athletic teams and larger churches. 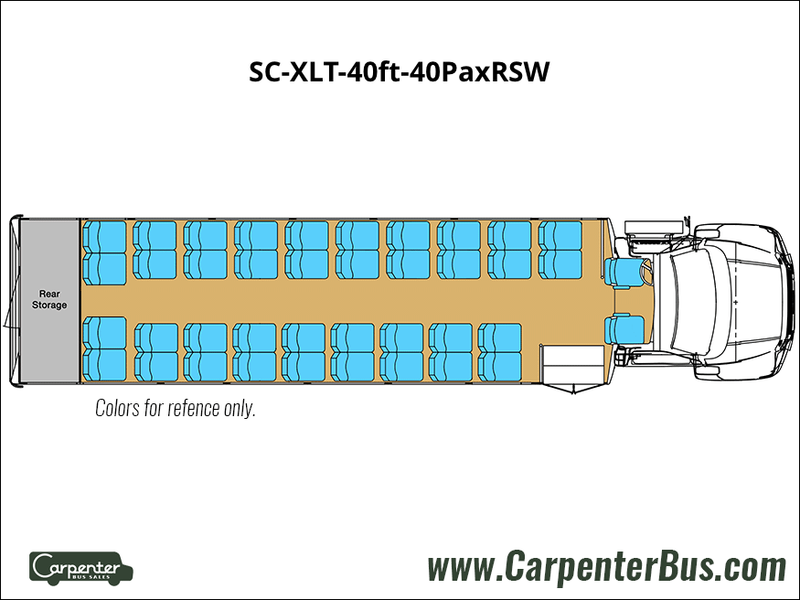 The XLT is the widest bus in the Starcraft arsenal of buses at 102″ which is spacious enough to the larger 19″ seats. The bus can be configured to carry up to 44 total passengers including driver, or if you need luggage space, you can have the bus configured to carry 40 passengers plus rear storage. This configuration is super convenient for longer trips. As with any of the other Starcraft models, this unit can be equipped with reclining seats, and a TV/DVD package to make those longer trips that much more enjoyable. The XLT can also be outfitted with some undercarriage storage as well as mobile Wi-Fi. As with all other Starcraft buses, the Starcraft XLT is protected by a fully welded steel cage engineered body which is designed for years or quality and quiet operation. A one-piece, seamless FRP roof reduces the potential for leaks, while the stylish design of the of the fiberglass caps, fiberglass skirts, and Alucobond exterior sidewalls eliminate corrosion. The Starcraft XLT can be built on either the Ford F-650 chassis or the International MaxxForce diesel engine. If you need to carry a big group, give the XLT a long hard look.